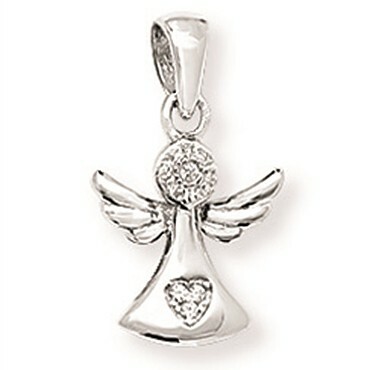 Divine little Sterling Silver Angel with wings unfurled. Features a shimmering cubic zirconium head and sparkling CZ heart on its silver robe. Actual size: 2cm inc. bale. With Chain.